REGION 4— The Region 4 Board of education will consider a statement supporting the performance of Superintendent of Schools Dr. Ruth Levy at its regular meeting Thursday at 7 p.m. at the library/media center at John Winthrop Middle School. Levy, who assumed the district’s top job in June 2009 after two years as assistant superintendent, has been a focus of some controversy over the past six months following the abrupt departure in October of Eric Rice from the principal job at Valley Regional High School. Rice, a Chester resident who was hired for the principal job last summer, resigned amid reports he had been given a resign-or-be-fired ultimatum from Levy in September, less than three weeks after the start of the current school year. Neither Levy or Rice has commented on the reasons for the departure. The situation involving Rice sparked a suppot rally by some students and district residents that was followed by claims that school administrators had imposed a “gag order” that threatened students with discipline if they attempted to discuss or ask questions about the situation involving the principal. The school board in November retained Madison lawyer Stacey Lafferty to investigate the reports of a gag order. Lafferty’s investigation that was completed in about a week concluded there was no evidence to support the claims that a gag order was issued or sanctioned by district Central Office sadministrators, and no evidence that “faculty or students’ First Amendment rights were suppressed or violated.” But the investigation report confirmed that one high school senior, a student of Laotian descent form Essex, had received a ten-day suspension for printing information about the Sept. 23 rally on a school computer, and distributing the printed material to other students at the school. The suspension led the student’s parents and Essex resident Susan Magaziner to file a complaint with the U.S. Department of Education’s office of Civil Rights requesting an investigation of alleged discrimination. Department officials confirmed in late January that an investigation of the complaint against Levy and other district officials, including acting high school Principal Kristina Martineau, would be conducted in the coming weeks. “Dr. Ruth Levy has proven herself to be a very strong administrator, educator, and leader and continues to work tirelessly to make Region 4 an even stronger district,” the statement concludes. The proposed statement of support followes a closed session evaluation of Levy’s performance that was conducted in recent weeks by the Region 4 board and the local school boards of the district towns of Chester, Deep River, and Essex. Literacy Volunteers Valley Shore will be holding their 4th annual April Fool’s Backward Mile and 5K Run/Walk on Saturday, April 2, 2011, starting at Essex Town Hall. There will also be a Lollipop Run for children aged 6 and under. Registration will be at 7.30 a.m., and the Backward Mile for adults age 18 or older will start at 8.30 a.m., the Lollipop Run for children 6 and under will start at 8.50 a.m. and the 5K Walk/Run will start at 9.15 a.m. This is an important fundraiser for Literacy Volunteers Valley Shore, CT, Inc. , who provide tutors to those residents in the Connecticut Valley Shore area who want to learn to speak, read or write English or who wish to improve those skills. Their service is strictly confidential and is provided free of charge. People who wish to participate in the race can download the application form here or apply directly online at the Literacy Volunteers website at www.vsliteracy.org . They can also contact Michael Noto, the Executive Director at 860-399-0280 or contact the race director, Cathy Bishop, at 860-767-0354. Enjoy an early St. Paddy’s Day at the Essex Library on Tuesday March 15 at 7p.m., when Tom O’Carroll performs an entertaining program that will whisk you to Erin. 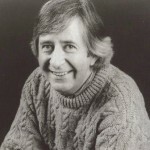 Dublin born folklorist, folk-singer and instrumentalist Tom O’Carroll brings a wealth of stories, humor, wit and history to his performances. He has played at concerts, festivals, colleges, libraries and pubs all over the U.S. and Canada, as well as his native Ireland, including a stint for one month in Seoul, South Korea. Whether playing a plaintive air on the tin whistle or singing and playing rousing traditional songs to the accompaniment of the guitar or the bodhrán (Irish drum), Tom will captivate all with his lively program of Irish culture. A donation of $5 is suggested. Please call Library to register at 860-767-1560. CDs of Tom’s music will be available for purchase at the show. 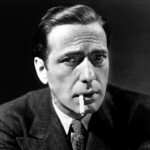 Time Magazine editor and best-selling Hollywood biographer Stefan Kanfer talks about his latest critically-acclaimed book, Tough Without a Gun; The Life and Extraordinary Afterlife of Humphrey Bogart, Saturday March 12 at 1 p.m., at the Essex Library. Stefan Kanfer’s books include Ball of Fire: The Tumultuous Life and Comic Art of Lucille Ball, and Somebody: The Reckless Life and Remarkable Career of Marlon Brando. He was a writer and editor at Time for more than twenty years and was its first bylined film critic, a post he held between 1967 and 1972. Books will be available for signing and sale. Please call the Library to reserve a seat for this fascinating talk, at 860-767-1560. UCONN Poultry expert Dr. Michael Darre will give an educational talk about raising backyard chickens, on Saturday March 12 at 10 a.m., at the Essex Library. Learn everything you need to get started with this popular new hobby, from what kinds of hens to choose, to building simple shelters. 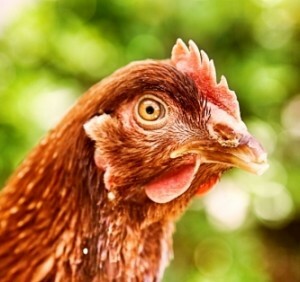 Reap the benefits of fresh eggs, free fertilizer, and natural pest control. Call the Essex Library today to register, at 860-767-1560. The program is free and open to all, but space is limited. 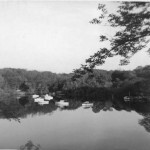 Non-profits, municipalities, and schools within the watershed of the Connecticut River in Massachusetts and Connecticut are invited to submit project proposals that will result in improved river water quality, ecosystem health, public awareness and/or recreational access to the Connecticut River. This effort is being put forth by the Pioneer Valley Planning Commission, Capitol Region Council of Governments, the Franklin Region Council of Governments, and the Connecticut River Estuary Regional Planning Agency. Proposals are due Friday, March 18, 2011. A full announcement and application form can be downloaded at www.pvpc.org. Funding for this project has been provided by the National Oceanic and Atmospheric Administration (NOAA). For more information, contact PVPC’s Anne Capra at (413) 781-6045 or acapra@pvpc.org. CHESTER— The zoning board of appeals will hold a public hearing Monday on a proposed organic market in a vacant building at 56 Middlesex Avenue that was rejected by the planning and zoning commission in November as an illegal expansion of a non-conforming use. The special permit denial led applicant Peter Kehayias to file an appeal in Middlesex Superior Court. Kehayias, a local resident, has now applied for seven variances of zoning regulations that would allow the market with a ten-seat cafe area to go forward. The ZBA hearing convenes at 7:30 p.m. in the Chester Meeting House on Liberty Street. Kehayias has been trying since last summer to win zoning approval of an organic market in the vacant structure at 56 Middlesex Avenue, also known as Route 154. An initial special permit application that included a ten-seat cafe area was withdrawn in September after some members of the planning and zoning commission suggested Kehayias present a new application without the seating area for on-site consumption of food and other items. But a revised special permit application without the cafe seating area was denied on a unanimous vote of the panel in November after a public hearing that began in October. Commission members maintained the market would be an illegal commercial expansion of a non-conforming use because the plan called for enlarging the structure to make room for storage coolers. Members voting to reject the application were commission chairman Michael Joplin and members Jon Lavy, Janet Good, Steven Tiezzi, Steven Merola, Errol Horner, and Keith Scherber. Kehayias, represented by Middletown lawyer Jennifer Farrell, appealed the decision in December with a lawsuit that contends the commission’s decision was arbitrary and an abuse of discretion. The lawsuit also contends that one or more members of the panel should have disqualified themselves from considering the special permit application because they had a “personal interest or bias toward the property and proposed use,” including an alleged previous attempt to purchase the property by one member, and other members’ ownership or business interest in properties in the nearby downtown village. The lawsuit contends there was a conflict of interest for one or more commission members because the market would provide economic competition for their business interests in Chester village. The 56 Middlesex Avenue structure, which has been vacant for about two years, is located directly across from the intersection of Middlesex Avenue and Main Street leading to the downtown village. The lawsuit also contends commission members “misled” Kehayias with the suggestion that he submit an application without the cafe seating area, and that one or more members of the panel missed portions of the public hearing and did not review tapes or transcripts of the hearing. Kehayias is seeking variances of the minimum setback and non-conforming use/change of use provisions of Chester Zoning Regulations. There will be a reception to meet Sherry Marlowe and view some of her work at the Marshview Gallery in Old Saybrook on March 11, from 5 – 7 p.m.
Sherry Marlowe began painting after receiving her interior design degree in New Hampshire. Design was challenging but it color captured her spirit and desire to paint. Since the beginning her medium of choice has been pastels. Painting with pure pigments offers her an infinite variety of colors and values to create rich bold paintings. 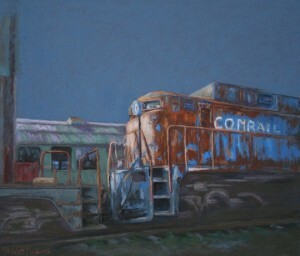 Her representational artwork has an impressionist style whether the painting is a landscape or an old train. All ages are welcome to join us for this free event. Refreshments will be provided. Geraldine Griswold Greb-Lasky, noted bat expert, will make a passionate and entertaining presentation about bat conservation and the overall health of the bat population at Essex Town Hall on Monday, March 7 at 1.45 p.m. Bats have occupied our planet for fifty million years yet we have only seriously studied them over the last six decades! Through a Q&A, a brief power point presentation, and the help of a charming Big Brown bat named Theo, we’ll explore biology, ecology, sonar, cultural highs and horrific lows (White Nose Syndrome) of these extraordinary creatures. 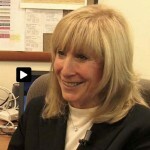 Gerri Griswold is Director of Administration and Development at The White Memorial Conservation Center in Litchfield, Connecticut. 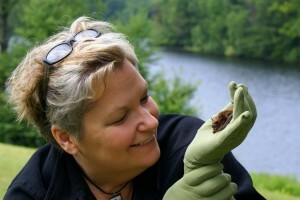 She is a wildlife rehabilitator and educator and is licensed by the Connecticut Department of Environmental Protection and the United States Department of Agriculture to keep and exhibit non releasable bats for education. 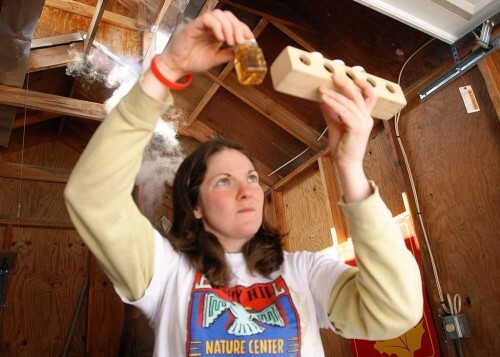 Over the years Griswold and her bats have delivered hundreds of programs to libraries, classrooms, scout troops and organizations like the National Park Service and the Yale Peabody Museum. They have appeared on the cover of The Weekly Reader and produced a segment about bats for The Late Show with David Letterman. This event is co-sponsored by the Essex Land Trust and the Essex Garden Club. Refreshments served. Admission is free. For more information about the event please contact Peggy Tuttle at 860-767-7916 or e-mail peggytuttle@gmail.com. The Earth Charter Community of the Lower Valley (ECCoLoV) is pleased to host noted author and speaker Charles Eisenstein on March 6, 2011 at the East Haddam Grange, 488 Town Street, East Haddam, Connecticut from 2 to 4 PM. Mr. Eisenstein will talk about the changes taking place in our society right now – from where they spring, and what their implications are. Current economic uncertainty isn’t just a bump in the road, but a fundamental shift. Our ‘story’ is changing – the invisible myths and ideologies that form our world – propelling humanity into a new relationship to earth and money. Underneath is a deeper shift: an awakening to a different way of being. Charles Eisenstein’s book, The Ascent of Humanity, is a radical exploration of the history and future of civilization from a unique perspective: the human sense of self. Like many philosophers, Eisenstein traces all of the converging crises of our age to a common source, which he calls Separation. It is the ideology of the discrete and separate self that has generated these crises; therefore, he argues, nothing less than a “revolution in human beingness” will be sufficient to transform our relationship to each other and the planet. Even in this dark hour, he says, a more beautiful world is possible – – but not through the extension of millennia-old methods of management and control. This talk is free and open to all. Donations are encouraged. Refreshments will be available. The Earth Charter Community of the Lower Valley, Inc. is a non-profit, 501c3 organized around the principles of the Earth Charter, a declaration of inter-dependence developed through a world-wide dialog initiated by the United Nations. 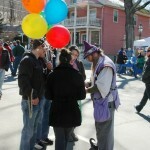 For more information, visit ECCoLoV at www.earthcharterct.org, or call 860-873-8989. 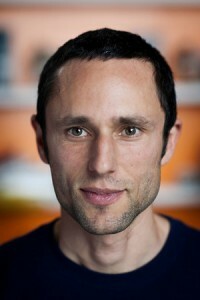 Visit Charles Eisenstein at www.ascentofhumanity.com. The CT Rail Commuter Council’s “Winter Crisis – Commuter Summit” last week was a big success. Dozens of commuters turned out to share their horror stories about trying to ride Metro-North this winter… no heat, no information, no seats and in many cases, no trains! All of these are true. But it was in trying to explain the many delays in the delivery and testing of the new M8 cars that things got heated. As any reader of this column knows, we’ve been waiting since 2005 for new cars to replace our decrepit fleet. Designed and built by Kawasaki, the new M8 cars look great. But they’re 15 months late into service with no real explanation as to why… or when they’ll be ready for passengers. It was time for answers. The CT Rail Commuter Council, a creation of the legislature, has neither a budget nor much power. But the one thing state statutes say is that we may request “and shall receive” any assistance we want from the CDOT in understanding what’s going wrong with Metro-North operations. So, to get to the bottom of the M8 delays, we requested that CDOT bring to our meeting someone from Kawasaki and from LTK (the consultant that’s been paid $27 million to oversee the M8 testing program). To our dismay, they refused. No explanation, just a “no”. We turned to Governor Malloy’s office for help, but they didn’t even return our phone calls. So much for the first test of the Governor’s promise of open, transparent government. Why the cover-up? What do CDOT and the Governor know about the M8 delays that they wanted to keep the experts away from our questioning? What are they hiding? The testing program has been underway for a year. The cars are showing not just “software problems” but hardware issues as well. Kawasaki doesn’t get paid until the cars prove they can work. The mandatory 4000-mile test run of the prototype cars has been started and restarted several times as new problems were identified. Metro-North still thinks they can fix the M8 problems and get as many as 80 into service by the end of 2011, two years behind schedule. When a commuter asked the Interim-Commissioner of the CDOT why he wasn’t speaking specifically about the identified engineering problems with the M8 he was told that “people wouldn’t understand” them. In other words, because we’re not civil or electrical engineers (though many commuters are! ), the CDOT thinks it better to just explain away this $866 million railcar as having “software problems”. I told the Commissioner that I found his attitude insulting and condescending. Commuters on Metro-North are not stupid and we don’t need to have things “dumbed down” to be understood. The CT Rail Commuter Council has done what it can to find the truth about the M8 delays. We’ve sent our questions along to the Transportation Committee of the state legislature. Maybe they can get some straight answers. 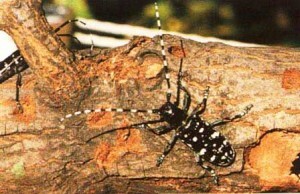 There will be a film and discussion on the Asian Longhorned Beetle on Thursday, March 3 at 7:30 pm at Essex Town Hall. Admission will be free. These terrible insect-invaders from Asia have killed trees in New England, in particular, Worcester, Massachusetts. The only way to stop the pests in that city was to cut down and grind up over 25,000 trees. There is concern that the damage could spread throughout the northeastern United States. New infestations can destroy our forests and property values, and cost huge sums of money to control. Originating in China, Asian Longhorned beetles are invasive pests that likely came to the U.S. in wood pallets used in shipping containers. They established themselves in a stand of maple trees in the industrial core of Worcester 12 to 15 years ago and have been quietly spreading, killing trees and multiplying ever since. The threat the beetles pose to New England trees, including towns in this region, is a risk too great to contemplate. Co-sponsored by the Essex Garden Club, Potapaug Audubon Society and the Essex Library. Refreshments served. Admission is free. For more information about the event please contact Peggy Tuttle at 860-767-7916 or e-mail peggytuttle@gmail.com. President Jeffrey Hostetler, of the Deep River Historical Society has announced that the State of Connecticut, Historic Preservation Division of the Commission on Culture & Tourism, has awarded the Historical Society a grant to survey historical structures in Deep River. About a year ago, the Historical Society created an Architectural Heritage Committee, whose assignment is elevation of public knowledge about the rich architectural heritage of the Town of Deep River. Seeking a State Grant to conduct an inventory of the historic structures in town is but one of the committee’s undertakings. The $20,000 State grant will enable a comprehensive inventory of about 150 old structures in town and the inventory is a forerunner to publishing a book illustrating many of the 18th, 19th and early 20th century homes in Deep River. When the inventory is completed, the Historical Society intends to seek an additional grant, to accomplish the publication of such a book. The survey of homes and other old structures must be done by a qualified historian or architectural historian and will include completion of a state required inventory form and photos of inventoried homes. All inventories will be done from the sidewalk or street, with no requests for home entry. Deep River is fortunate to have a substantial data base of its old homes already, thanks to the work of now deceased historian, Donald Malcarne, formerly of Essex, CT. Individuals interested in more information, or in assisting the Architectural Heritage Committee with its work, should contact the Committee Chairman, James J. Hogan III at, 860-526-9984. CHESTER— The board of selectmen has appointed a nine-member volunteer committee to develop a plan for an expansion of the historic 1907 Chester Library on West Main St. The committee’s review and recommendations are expected to lead to a proposed building project for the library that could go to the voters for funding approval later this year. Members of the library board of trustees, which has been considering options to expand and upgrade the library for more than a year, had asked the selectmen to establish the committee late last year. Based on input received in a town wide survey and other factors, the trustees have decided to pursue a renovation and limited expansion of the existing library building, rather that construction of a new library on another site. The library building on West Main St. (Route 148) currently comprises about 2,000 square-feet with about 17,000 volumes. Appointed to the committee are Selectman Larry Sypher, library trustee Peggy Carter Ward, Patricia Holloway, a librarian in West Hartford, builder Jeff Ridgway, project planner Jean Davies, Clifford Vermilya, a former town manager and library director, Dennis Tovey, an engineer, Lois Nadel, and Michelle Clark. The charge for the committee that was approved by the board of selectmen at a meeting last week calls for recommendations on assuring full handicapped accessibility, upgrading of all mechanical systems as needed and providing dedicated storage space and an office for the librarian. The charge also calls for the committee to develop a plan that would not reduce parking capacity around the library. Another key component of the charge calls for the committee to “secure a clear determination of the ownership of the library building and property.” The library is located on a parcel near the United Church of Chester, and some land records indicate the property is owned by the church. Mark Branse, the attorney for the Old Saybrook Planning Commission, has written an article in an environmental group’s newsletter, suggesting proper rules of conduct for commissioners and the general public at hearings on controversial subjects. Attorney Branse must have had his own proposals in mind, when at the Planning Commission’s February 16 public hearing on the Preserve, he threatened to call the police, when he felt that members of the audience were getting out of hand. Branse’s thoughtful article, entitled “Order in the Court,” was published in “The Habitat” of the Connecticut Association of Conservation and Inland Waterland Commissions. 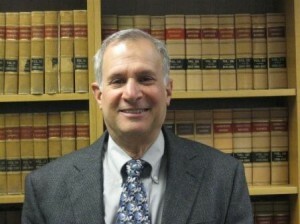 Although Branse begins by citing a couple of court cases, one when a hearing officers used “foul language and threats” against an applicant, and another when an “atmosphere of hostility” was created, when an issue was made of the applicant’s ethnicity, his article is far from a dull recitation of zoning court cases. Rather it is an easy to read summary of suggested rules that should be followed at town public hearings. Listed under “Be Prepared,” he gives the following advice to hearing chairmen. If you suspect trouble, have police on hand, preferably in uniform. Have more than one if any doubt at all and more on call. Set out the rules of the game before the applicant ever stands up: “We will hear from the applicant; then questions from the Commission and staff; then those in favor; then those opposed; then those who don’t wish to be categorized as in favor or opposed. There will be no shouting, applause, booing, heckling, or other disturbance. Those who break these rules will be ejected from the meeting. There will be no exceptions. Explain what kind of preceding this is (wetlands, zoning, etc,) and what the criteria for review are. Have copies of those criteria available for distribution and ask people to address their comments to those criteria. . …. And stick with it. Obviously, Branse himself had his own rules in mind when he took over the mike from the Planning Commission Chairman Robert McIntyre and threatened to call the police at the February 16 public hearing on the Preserve in Old Saybrook. Read the full text of Branse’s thoughtful article in the Winter 2010 newsletter of the Connecticut Association of Conservation and Inland Wetlands Commissions, Vol. 22, No. 4. Branse’s article can be found on page 6. Rebirth Among Chaos by Lynda Gardner. Her work will be on display at the Essex Library, March 2 through the 31. Artist Lynda Gardner was released from prison in October 2009 after serving a sentence related to a gambling addiction. 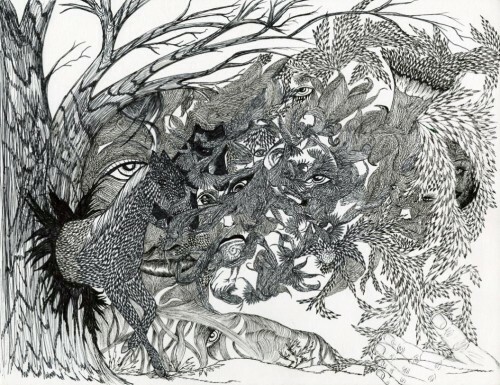 Since her release, she has devoted herself to her artwork – spending hours every day on her detailed pen and ink drawings – and to speaking to others about her life experience. Her work will be on display at the Essex Library, March 2nd through the 31st. Lynda Gardner began drawing in a Community Partners in Action Prison Arts Program class in 2006. Her first exhibition was that year’s Prison Arts Program Annual Show. Her works are primarily black and white intricate drawings on paper, with an occasional use of color. They are explosive and obsessive drawings: birds swarming, their wings growing larger, wings growing new wings, wings protecting children, wings hiding women’s faces, while trees are growing and horses are charging. This exhibition at the Essex Library is traveling to libraries throughout the State – sponsored by the CPA Prison Arts Program. The show is free and open to all during regular operating hours. It was not supposed to be that way. In the overwhelming Democratic 36th State House district, Democrat Phil Miller was forecast to win in a walk over Republican Janet Peckinpaugh. Instead the final unofficial totals were 2,751 votes for Miller to 2,526 for Peckingpaugh, in percentages 52% to 48%. With just a shift of just a hundred votes, from Miller to Peckinpaugh, the Republican could have won. One of the biggest surprises of the vote was that Peckinpaugh carried the traditionally Democrat town of Haddam by close to 200 votes. If Miller had not carried his home town of Essex by over two hundred votes, the Democrats would have suffered a surprising defeat. Haddam 658 to 855 for Peckinpaugh. As for his future work in Hartford, Miller said, “We are going to have to under promise and over deliver.” Also, Miller reiterated that he is going to keep his position as First Selectman of Essex, until his term is up in November. After that he said he would be looking for a part time job, as do most legislators, to augment his modest income as a state representative. Prepare to Launch Your Boat! A Spring Commissioning Seminar will be held at the Essex Corinthian Yacht Club, Novelty Lane in Essex, on Saturday, March 5 from 10a.m. to 12p.m. Members of the public are invited. The Seminar will discuss various tasks associated with successfully preparing your boat for launch and use throughout the upcoming season. The Seminar will be let by Captain Mark Bancroft of Wild Oats Marine Services. Mark has been sailing for well over thirty-five years and been involved in the marine industry for over twenty years. After completing a successful career in the United States Navy as a Chief Petty Officer he retired in 1989. Mark has been the delivery captain for over 100 boats to various ports from Boston to Norfolk. His experience includes installation and repair of equipment/electronics, spring commissioning and winterization of yachts. Please register for this no cost seminar. Contact the Essex Corinthian Yacht Club office at 860-767-3239 or ecyc@essexcyc.org. Hands-on Learning - Chester Child Center believes in learning through play and provides a wide range of activities, indoors and out, including early reading and writing, arts, crafts, gardening, and baking. Chester Child Center will be holding it’s Annual Open House on Thursday, March 10, from 6:30 to 7:30 p.m. Visitors can visit the center, meet the teachers and even make a craft. Refreshments will be served. The Center enrolls children ages 3 to 7 and offers a nursery/preschool program, before and after school programs, as well as part time and full time child care. They have been serving families and children in the community since 1973. Visit the Chester Child Center to learn how the Center can teach your child about numbers and letters and colors, help develop early reading, writing and math skills. Enjoy and learn with Music With Margie and make creative and beautiful art! 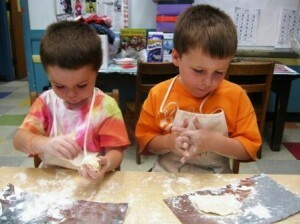 Have your child come and learn through play and fun. Our hours of operation are 7 a.m. to 5:30 p.m.
Chester Child Center is now accepting registrations for our Summer or Fall Sessions. Please call 860-526-3337 for more information. 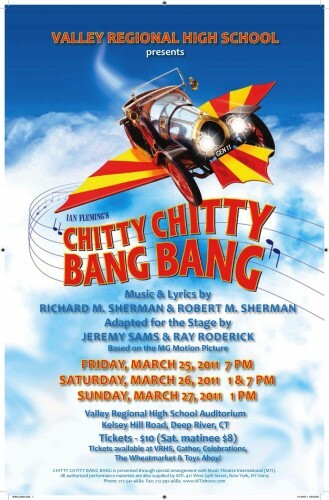 Tickets are now on sale for the Valley Regional High School’s production of Chitty Chitty Bang Bang, which will be preformed in the High School auditorium on March 25-27. Tickets can be purchased at VHRS, Gather Celebrations, The Wheatmarket and Toys Ahoy! All seats are $10 except Saturday matinee which are $8. On Shrove Tuesday evening, March 8, the sounds of traditional jazz will again warm St. John’s, Essex for a last hurrah before the season of Lent begins the next day. But this year’s concert will mix it up, featuring the Occasional Jazz Ensemble and a program combining favorite Dixieland selections with the Great American Songbook standards for which the group is known through its work at area clubs and charitable functions. The band started several years ago as a pick-up group of musicians hand-picked for particular engagements but didn’t have a name until double bassist Jim Goodwin, a classics educator by day, suggested one playing on the “occasional” theme – underscoring that the group plays at social occasions, but does so only occasionally and not regularly. This year’s formation includes Phred Mileski, vocals; Ed Birch, trumpet and trombone; Jos Konst, saxophone; Jim Goodwin, bass; Trevor Davis, drums; and Scott Konrad, leader and pianist. 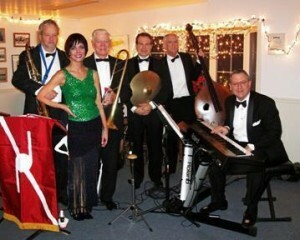 The band will serve up selections ranging from toe-tapping Chicago-style Dixieland to the music of Harold Arlen, Irving Berlin, Hoagy Carmichael, George and Ira Gershwin, Jerome Kern, Johnny Mercer, Cole Porter, Rodgers and Hart, Arthur Schwartz and Harold Dietz – even a few spirituals — a jambalaya of joy to close out the season of Epiphany. The evening will begin with a traditional family pancake supper in the undercroft, followed by the one-hour jazz concert at 7:00 sharp. A freewill offering will be collected at the close of the concert to benefit the library project of “Sisters Cities Essex Haiti” (see article below). Be sure to bring your friends and neighbors! The first initiative of the library project of “Sister Cities Essex Haiti” is the creation of a library/community center in Haiti to provide children a well-lighted, safe place to study, a place for people to borrow books, a place for parents to read with their children, and a community center for everyone. Few families have books in their homes, and the importance of having the opportunity to take a book home to share with the family will be immense. 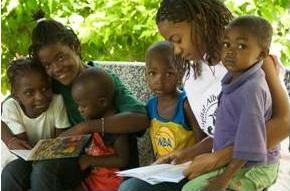 Despite the fact that all Haitians value education highly, there are few libraries in rural Haiti. Indeed, although the official language in Haiti is Kreyol, until recently there were very few books written in Kreyol because French was and still is taught in elementary, secondary and University level schools. Sister Cities EssexHaiti is working to change this by providing a space with opportunities for learning. More information about this great project can be found at www.SisterCitiesEssexHaiti.org . So come enjoy some great music and support a wonderful ministry at the same time! On Friday, Feb. 25 at 10 a.m. the Board of Selectmen of Old Saybrook will be holding a special meeting in the Town Hall, at which time they will be issuing an important proclamation. The Proclamation by the Selectmen will designate Monday, Feb. 28 as Rare Disease Day to bring attention to the plight of people struggling with rare diseases in Old Saybrook and to raise awareness about these often undiagnosed or misdiagnosed diseases. A rare disease is one that affects fewer than 200,000 Americans. There are nearly 7,000 such diseases affecting nearly 30 million Americans. In this effort, the Town will be joining the National Organization for Rare Disorders (NORD) and others around the world in observing World Rare Disease Day. On this day, millions of patients and their families will share their stories to focus a spotlight on rare diseases as an important global public health concern. Residents Mark and Kristin Leopoldino whose daughter Avery (2) was diagnosed with CDKL5 and suffers daily seizures without a cure in sight. Avery is the only child in Connecticut with this diagnosis although there are likely others who remain undiagnosed or misdiagnosed. Details of a fund raiser to help this little girl will also be announced on Friday. Social Services Coordinator Susan Consoli, LPC who will be bringing attention to Celiac Disease, of which she was recently diagnosed after years of misdiagnosis. Currently it is estimated that 1 in 200 people have Celiac Disease while only 1 in 2000 are diagnosed with this auto-immune disease. Also attending will be Youth and Family Services Director Heather McNeil, LMFT, LADC who is the Town appointed Americans with Disability Act Coordinator. For more information about the Special Meeting, please contact Susan Consoli at 860-395-3188 or via email at sconsoli@town.old-saybrook.ct.us. It was a cold, cold election day, but that did not stop Republican Janet Peckingpaugh and Democrat Phil Miller from casting their ballots early in their race for State Representative in the 36th House district. In fact, it was a very cold 15 degrees, when at 8:30 a.m. Peckinpaugh cast her ballot at Essex Town Hall. Miller, who also lives in Essex, said that he had voted at 7:00 a.m.
Miller for his part pointed out that the Governor’s tax proposals are “only a starting point.” “It is up to the legislature,” he said, that ultimately approves new taxes. However, he cautioned, “Everyone is going to feel some discomfort,” when the tax questions are resolved in Hartford. Peckinpaugh is also opposed to the Governor’s call for new taxes on boaters in the state. She fears that state residents will buy and maintain their boats out of state, if new boat taxes are enacted. Miller’s response is that the district has “world class nautical merchants,” and he is confident that they will continue to maintain that position. He also called attention to the new system of pump out boats, which was an innovation that began in Essex, he said. Peckinpaugh also does not think it is a good idea for Miller to continue to hold his present the job of First Selectman of Essex, if he is elected as a State Representative. “People will get a short shrift,” if he does so, she said. For his part Miller said that he owed to the people in Essex who elected him to finish his term as First Selectman. That term comes its end this November. 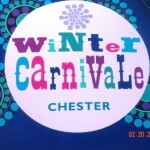 Chester held its 21st annual Winter Carnivale yesterday. 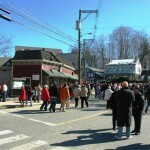 Despite the bitterly cold temperatures, the streets were crowded with tourists and locals alike. 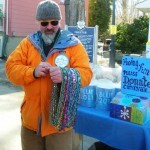 There was a parade on Main Street and Mardi Gras beads were passed out to add to the festivities. Theatre fans gathered at the Goodspeed at Chester’s Norma Terris Theatre annual tag sale. There were props from last season’s shows as well as previous seasons on sale. Other items included signed posters, various costumes, records, and theatre books. In keeping with the spirit of “Carnivale”, the life-sized puppet theatre used by the character Lili in the recent musical, “Carnival!” was also for sale. Any takers? 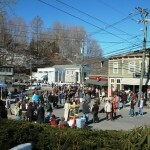 The Pattaconk 1850 Bar & Grille served hamburgers and chowder outside its doors. Simon’s Marketplace offered mouthwatering cookies (especially the chocolate chip- peanut butter ones! 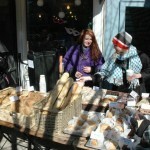 ), brownies, cupcakes, and breads. And the Chester Hose Company featured different types of chili at their “Chilly Chili Cook-Off”, which certainly … and forgive the pun … spiced up the day. 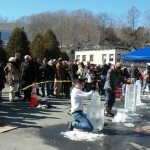 Other fun attractions at the Carnivale included the ice sculpture competition and various street performers roaming the streets. We can’t wait until next year to see more surprises in store! REGION 4— Region 4 school officials have announced changes to the school calendar in response to the six snow days that have cancelled class so far this winter. A professional development day that had been scheduled for Friday April 1, with no school for students and professional development activities for teachers, will be a regular school day. The district has also added an additional snow/emergency day for Friday June 24 that would be added to the calendar if there is an additional snow day this winter. If there is more than one additional snow day, the days would be made up during the school vacation that is set for April 18-22. At the present time, the last day of school is Thursday June 23, with graduation for the 2011 senior class scheduled for June 20. This vintage poster promoting ‘a warm, wonderful movie for the whole family’, will be greeting fans when the Chester Historical Society hosts a special viewing of ‘It Happened to Jane’ at 2 p.m. on Saturday, Feb. 26 at the Chester Meeting House. 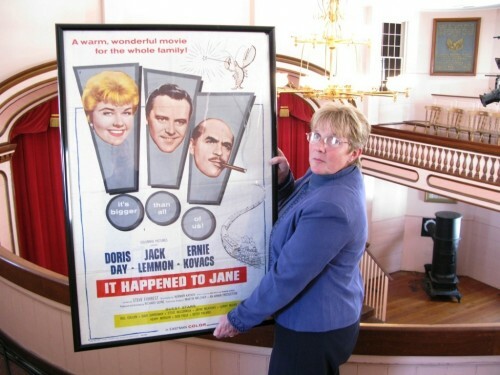 The town’s historic meetinghouse was a movie site and the rest of Chester became an outdoor studio for this 1959 film which starred Doris Day, Jack Lemmon and Ernie Kovacs. Take a welcome break from the winter blues with a special free showing of the movie, “It Happened to Jane,” which was filmed during the summer of 1959 at many sites in Chester. 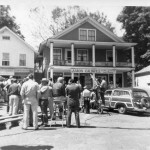 The movie starred Doris Day, Jack Lemmon and Ernie Kovacs, as well as many Chester townspeople. The showing will be at the historic Chester Meeting House at 2 p.m. on Saturday, Feb. 26, with a snow date at the same time on Sun. Feb. 27. 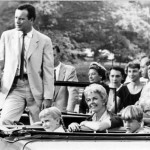 Called “a warm, wonderful movie for the whole family,” “It Happened to Jane” is a light romantic comedy with many scenes of Chester (including a town meeting in the Chester Meeting House and a parade on Main Street). There is no admission for the film, and popcorn and a beverage will be sold for just $1.00. Theater candy will also be sold. If there ever was a time for government to operate more efficiently, it’s now. We are fortunate that Phil Miller has already been actively working on and creating smarter, leaner government for years in our region. From providing quality education at a lower cost, to sharing Municipal health care costs, to coordinating regional incentives for job growth, Phil Miller is in a strong position to go to Hartford and really reform the way the state conducts its business. Phil Miller is a dedicated public servant with many years of proven experience. Phil is clearly the best choice for State Representative in our shoreline district. His opponent just doesn’t seem to get it. When his opponent was asked about property tax reform recently at a candidate forum, she said “I really haven’t thought about that.” At this week’s Chester event, she said we don’t need to change property taxes. This clearly indicates to me that she doesn’t understand Connecticut’s complex tax structure and the stresses it puts on us as shoreline residents. Please join me in voting for Phil Miller this Tuesday, February 22, in the special election. Phil is experienced, and has proven he is ready to take on the challenges facing our state and region. It was stunning to hear Mr. Miller state at the debate at Chester Village West that he did not think Connecticut is in a dire situation. Connecticut has a staggering budget deficit, exorbitant taxes and regulations, a downgraded bond rating, the highest energy costs in the nation, an enormous cash shortage and businesses that are leaving in droves for other business friendly states. Is Mr Miller simply ignorant of the issues or beholdent to those in Hartford who drove us into this ditch. I know Ms Peckinpaugh understands with alacrity that over-taxing and over-regulating drives businesses away. Despite what Miller thinks, Connecticut is in a dire situation. If he does not understand the severity of our problems in CT, how can he possibly help to fix the problems? We need to send fiscally enlightened people to Hartford to work for us. AREAWIDE— A four-term first selectman and a former television news anchorwoman face off Tuesday in a special election to fill the vacant 36th House District seat representing the towns of Chester, Deep River, Essex, and Haddam. Democrat Phil Miller, Essex first selectman since 2003, and Republican Janet Peckinpaugh, also of Essex, were nominated at party conventions last month for a contest that developed at the end of December, when former Democratic State Rep. James Spallone announced he would give up the legislative seat to become deputy secretary of the state. Spallone, also of Essex, had held the seat since 2000, and was re-elected by a wide margin last year. Both candidates have waged active campaigns in a six-week race that could be decided by voter turnout, and possibly local reaction to the budget plan, and tax increases, proposed Wednesday by Democratic Governor Dannel Malloy. Both candidates quickly qualified for funding under the state’s Citizens Elections Program, raising $3,750 in small contributions to secure a state campaign finance grant of $19,500. The candidates have put up signs, sent district-wide mailings, and participated in debates held on Feb. 11 in Essex and Thursday afternoon in Chester. Miller, 52, has lived in the Ivoryton section of Essex since the 1980s, directing the Bushy Hill Nature Center in Ivoryton before winning the town’s top job in 2003 after unsuccessful runs in 1999 and 2001 that put him on the board of selectmen. Peckinpaugh, 60, grew up in Canton, Ohio and arrived in Connecticut in 2004 to begin a 22-year career as a reporter and anchorwoman for all three of the state’s television network affiliates. She moved to Essex in May 2007, opening a media marketing and consulting firm that produces television and internet video advertisements. An unaffiliated voter during her television career, Peckinpaugh became a Republican last year and ran unsuccessfully against Democratic Congressman Joe Courtney in the 2nd Congressional District of eastern Connecticut. The candidates differ, by degrees, on the budget and tax plan presented this week by Malloy. Miller said he is pleased that Malloy’s plan preserves state aid to cities and towns, and the education cost sharing grants that help fund public schools. But he has objections to some of the tax increase in Malloy’s plan, particularly the loss of a $500 tax credit intended to offset local property taxes that has been a Democrat supported initiative for more than a decade. Miller describes the local property tax as “a white elephant” that threatens lower income home owners, and points with pride to an elderly tax relief program he initiated in Essex in 2004. Peckinpaugh contends the governor’s plan relies too much on higher taxes, and suggests tax increases should not be discussed until the there is a full review of all spending, with a focus on consolidations and reductions that could include privatizing some state departments, such as the Department of Motor Vehicles and the Department of Economic and Community Development. She also calls for formation of a “quasi-public transportation authority” that would run Bradley International Airport, ports on Long Island Sound, and the ferries across the Connecticut River in Chester and Glastonbury. The candidates differ on two hot button issues that are likely to be debated this year, the death penalty and Sunday sales of alcoholic beverages. Miller said he opposes the death penalty “on moral grounds” and would support any proposal to repeal the state’s ultimate penalty. Miller said he would oppose Sunday sales because he believes a majority of the state’s liquor store owners oppose it. Peckinpaugh said she favors retaining the death penalty for the most heinous crimes, and leans toward supporting Sunday sales as a way to generate some new revenue without new taxes. 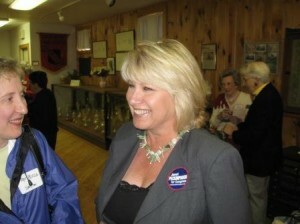 Other issues in the campaign have been Miller’s intent to continue serving as first selectman in Essex if elected as state representative, holding both jobs through the end of the current term in November, and questions raised by Democrats about Peckinpaugh’s qualifications and roots in the district. While Miller contends his experience in municipal government gives him broader qualifications and knowledge of the district towns, Peckinpaugh maintains her work experience as a journalist would bring a “new perspective” to the General Assembly. Peckinpaugh said she “loves Connecticut” and views Essex as her hometown. Peckinpaugh said she would not run for U.S. Congress again next year, even if Courtney decides to run for the Democratic nomination for U.S. Senate. The winner Tuesday will serve until the next state election in November 2012. The mission of ValleyNewsNow is to offer an independent, objective community news source for Chester, Deep River and Essex. The ability to comment on articles is not integral to that mission, but we offered it to readers in the belief that it would enrich the site. However the escalating number of offensive comments and personal attacks that are appearing on the site is not only contrary to our commenting policy but also offending many of our readers and we no longer deem it to be aligned with our vision for the publication. We are therefore closing down the comments section for all articles effective immediately and would suggest that those who wish to comment publicly on a matter send a letter to the editor, which will be published at our sole discretion, in accordance with our letters policy. ESSEX, CT– Essex First Selectman and 36th District State Representative candidate Phil Miller today responded to Governor Malloy’s budget address, saying he will not vote for any budget proposal until the legislature has a comprehensive plan for property tax reform. Miller’s opponent Janet Peckinpaugh was caught off guard when asked about property tax reform at a recent debate in Essex, telling the audience “Wow. That’s something I really haven’t thought about.” A clip of her response to the question can be found here. “Our state is facing the worst fiscal mess in decades and it will take very difficult choices to balance the budget. It won’t be pleasant—but the hard choices never are. I am looking forward to having the opportunity to go to Hartford and fight for the interests of the people of this District, and have an honest discussion about the needs of our state, starting with reforming the property tax system,” Miller added. 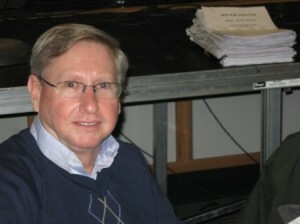 Phil Miller, elected Essex First Selectman in 2003, has an established record passing balanced budgets and reducing the size of local government. The 36th District includes the towns of Chester, Deep River, Essex, and Haddam. ESSEX– A town police officer now on a disputed medical leave has questioned a move by First Selectman Phil Miller to limit his access to town hall. Corporal Marc Pisciotti , a 13-year town officer, appeared before the board of selectmen Wednesday to question a directive from Miller that he notifies Miller by e-mail before entering town hall. Pisciotti, who is also the local police union representative, said he suffered a shoulder injury last September that began causing discomfort again in December. Pisciotti said he went on medical leave on Dec. 21, a leave that has been disputed by the town’s workmen’s compensation insurance carrier, Connecticut Inter-Local Risk Management Agency (CIRMA). Pisciotti is one of the town’s three full-time officers. Another officer, Salvatore Bevilacqua, has also been on medical leave since last fall. A fourth police position has been vacant since last spring when former officer April Powlow left for training to become a Connecticut state trooper. Corporal Russell Gingras is the only officer still on duty, along with Resident State Trooper Kerry Taylor and an interim second resident trooper who has been on the job since last fall. Pisciotti asked the full board, including selectmen Norman Needleman and Joel Marzi, whether he is prevented from attending a selectmen’s meeting and speaking during the public comment portion of the agenda. He noted that Bevilacqua, also on medical leave, had not received a similar directive from the first selectman. Marzi and Needleman said they had no objections to Pisciotti attending the meeting. “You’re welcome to attend a public meeting as anyone is,” Needleman said. Miller, who described Pisciotti’s appearance at the meeting as “nothing but provocative,” said Thursday he asked for the advance notice from Pisciotti while he is on leave because Pisciotti had been “going to town hall after regular business and using town equipment ” such as computers and copying machines. He said Pisciotti is scheduled for a hearing on the disputed medical leave in the coming weeks. Miller said the town has posted Powlow’s police position, with a screening committee ready to begin interviewing finalists. But Miller said he may hold off filling the vacant position until at least one of the police officer medical leaves is resolved. Finally, the public had a chance to speak. Up until last evening (Feb. 16), the “public” hearings in Old Saybrook on proposed changes in the much delayed Preserve development, consisted mostly of mind-numbing presentations delivered in monotones by attorneys and assorted experts. Not so last evening, when finally Robert McIntyre, Chairman of the Old Saybrook Planning Commission, let the voices of the public to be heard. The overarching question behind it all was whether 1,000 acres of open space in Old Saybrook should be blasted and bulldozed into modernity by a private developer. Although the narrower question at the hearing was whether the Planning Commission’s original development plan should be modified to permit the building of three clusters of new housing along the edges of the site, speaker after speaker came back to the basic unworthiness of the whole development. Without exception every member of the public who spoke, said that letting a private developer build on this unique space of open land should not be allowed. Although at one point Chairman McIntyre tried to steer the discussion back to the narrower question of whether to permit the building of the three new housing clusters, his words were in vain. One of the arguments expressed was how will a new cluster of houses be sold in the present tight housing market? Also, one speaker claimed that developing the Preserve will mean “huge costs to taxpayers,” such as paying for road upgrades, new intersections and new public services, generally, for the new residents on the site. Another speaker pointed out that three private companies had tried to develop the Preserve site, and each of them filed for bankruptcy, the most recent being Lehman Brothers. Then, the citizen environmentalists took the floor. Their comments included that the present open space is a coastal forest that is a key transit stop for migrating bird life, and that the vernal pools on the site must be protected, as well as the wood frogs, which after their eggs are hatched, clean the vernal pools. At this point Chairman McIntyre tried to bring the speakers back onto a narrower point. The Commission had approved an overall plan back in 2005, he said. Now under consideration was simply a request by the developer to modify the original plan, so as to build three clusters of new housing. But no one paid any attention. The ad hominem attacks against the entire Preserve project went on. One speaker, David J. Walden, told the sad tale about what happened in Fairfield, when residents tried to preserve as open space, a 200 acre tract of land. It was nibbled continually around the edges by developers, he said, until there was nothing left. Another speaker said that the issue should be, not what is good for the all mighty dollar, but what is good for the town. At one point the cheers for the speakers attacking the Preserve development grew too loud for the taste of Mark Branse, Counsel to the Planning Commission. He stood up, seized the mike, and said that he was going to call the police, if the audience did not quiet down. It seemed to be an overreaction to what was generally a peaceful meeting, but it did quiet the proceedings. Finally, near the end of the public venting of hostility to developing the 1,000 acres of open space, the largest open space between Boston and New York City one speaker pointed out, there came a comment that was clearly relevant to the larger question, which was whether the Commission should permit this entire development to go forward. Attorney Janet P. Brooks, representing the Alliance for Sound Planning, made the point that there was a fatal flaw in the Commission’s ongoing approval of its original plan for the site. 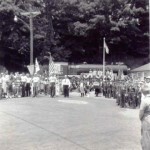 The Commission’s original plan, Attorney Brooks pointed out, was conditioned on the fact that the developer would be granted an easement to build a bridge over the Valley Railroad State Park, which is owned by the Connecticut Department of Environmental Protection (DEP). Planning Commission Counsel Branse termed Attorney Brooks’ argument “an interesting perspective.” However, it could well be more than that, if access to Bokum Road by a bridge is considered to be an integral part of the original plan approved by the Commission. What was accepted as probable in 2005, as Brooks pointed out, in 2006 turned out not to be the case. The access scenario on Bokum Road, a key element in the entire development plan, was no longer possible. This being the case, the Commission might have to go back to the drawing board, because a major assumption in the 2005 plan is no longer valid. How the Commission can think of approving the modification of a plan that is itself fundamentally flawed and unworkable is the question members must resolve. 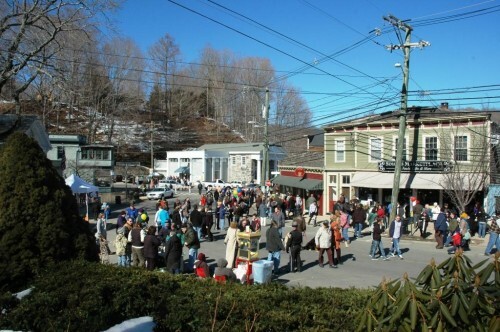 The effectuation of the Commission’s original plan in 2005 was also premised on the fact that the Town of Westbrook would approve a new entrance to the site on Rte. 153. However, the Commission has chosen to ignore the fact that the First Selectman of Westbrook has been on record as opposing this entrance to the site for over a decade. Some say it is almost an “Alice in Wonderland” attitude by the Commission to assume that Westbrook will grant the approvals necessary to implement this aspect of its 2005 plan. The public hearings phase on the modification of the original plan for the Preserve is now over, and future meetings will be open to the public but closed to further public comment. The Commission in its deliberations has three options. It can: 1) approve the modification requested by the developer, 2) reject the developer’s proposed modification but leave untouched the original plan, or 3) nullify or amend the original plan, because of the probabilities on which it was based back in 2005 have proved to be simply wrong in 2011. Some thoughts re Malloy’s Budget:. As I have read through Malloy’s budget, I am reminded of the sailing of the unsinkable ship into the cold waters of the Atlantic. On her departure the crew was reminded that this would be a cold and stormy passage and that they were well advised to rearrange the deck chairs so that they would not blow around and injure passengers. Yesterday, Governor Malloy proposed rearranging the deck chairs not on the Titanic but on our own “Ship of State”. Without any will, vision or sense of urgency, he proposed to rearrange Agencies and Commissions thereby reducing the number of both by the 30% he proposed in his campaign. The functional areas of responsibility will not be eliminated but reassigned. Inexplicably he does not propose to reduce headcount by the 10 – 15% Foley proposed but rather a paltry 100 jobs (more or less). Not taking any lead from the Democrat Governor of New Your and the republican Governor of New Jersey. he proposes to accomplish this on the backs on the citizens of the most overtaxed State in the Union. He proposes a direct assault on the poor and and middle income with a 1/4 percent increase in the sales tax. This is a 5% increase on largest portion of our population who are already carrying the burden of job losses, health care, food, fuel and rent cost increases. During the French Revolution, some wag was reported to have said “let them eat cake”. For our citizens, the cupboard is bare. Cake is not the option but the obvious choice of reductions in the size of government and spending was not considered. He goes on to propose new income tax thresholds to punish yet again the best and most mobile of our citizens. Once again this direct assult on the segment of our “Job Creators” will result in a hemorrhage of these as they uproot and head to friendlier climates and take their business entities with them. Many of their former employees will be left behind out of a job, with no health coverage and little or no options for improvement in the foreseeable future. With all the cheers of the assembled audience yesterday, I was not comforted by the excitement of the Legislators present. In Janet Peckinpaugh, we have the opportunity to elect a 36th District State Representative who is committed to reducing the out of control spending and growth of State Government. For 30 years, Janet has reported on our State Government. She knows the players and their history. Her communication skills are unparalleled. Her experience in affairs of state is unmatched by even the most seasoned members of the Legislature. I will be voting for the BOLD, NEW LEADERSHIP that Janet represents. Governor Malloy has just unveiled his fiscal plans for Connecticut for the next year. At a time when most Connecticut residents are tightening their belts he is calling for expanded government spending and higher taxes in almost every category that can be taxed. This is an anti jobs program of the first degree. Pfizer is cutting jobs and moving them out of state. The CEO of Aetna warns of the perils of being a high cost, high tax state like Connecticut. Our State is losing jobs and population. The answer is not to call for even higher spending and higher taxes. We need the opposite. We need more pro jobs, lower tax and lower spending voices in Hartford to counter the tax and spend culture there. 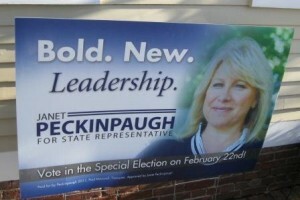 Please vote for Janet Peckinpaugh on Tuesday February 22nd. Janet’s pro jobs call for reduced State spending and lower taxes will help get Connecticut moving in the right direction again. I’ve read with interest the many comments regarding the upcoming special election for the 36th District State Representative. On February 22nd voters will be asked to select one of two well-spoken and well-liked candidates. However, this is not a popularity contest, nor is it an election for a town first selectman, and the outcome will determine whether we have a voice for reductions in spending or whether we continue to have out of control spending in our state. Connecticut is in dire financial straits as evidenced by the recent budget proposal put forward by the Governor. We have massive unfunded liabilities, a very high per/capita tax burden and jobs are leaving Connecticut, relocating to of all places, our neighbor to the north that used to be called Taxachussetts! We cannot afford to continue spending and imposing taxes on those few areas of the economy that still provide jobs and industry in our region of the Connecticut River Valley. Increased income taxes, increased sales taxes, and the proposal to increases taxes on various segments of the boating industry will move more jobs and more money out of state. These changes will be especially onerous to the towns of Chester, Deep River, Essex and Haddam, all beneficiaries of boating and tourism that will be severely reduced as expenses increase. We will not be able to compete with our neighboring states if they have lower costs for boat storage, maintenance and repair. Janet Peckinpaugh is the one candidate who has spoken about cutting state spending and about not increasing taxes or fees. Janet has also spoken about streamlining state services, reducing costs while improving those services through the use of technology. Janet, as a reporter, is accustomed to digging deep for the facts and making informed decisions. She has years of experience running a business and has a clear understanding of what it takes to create a business friendly, job creating environment. Please join me in voting for real change in our state and bringing fiscal conservatism and common sense to Hartford. Vote for RESULTS … Not promises! Vote for Phil Miller! Phil Miller, who is running in the Feb. 22nd Special Election as State Representative for the 36th District, has a head-start in serving the District: He founded the Household Hazardous Waste facility we all use; he is presently chair of the Middlesex County Revitalization Commission; he supports regional cooperation and has served as chair of the Connecticut River Valley Council of Elected Officials. As First Selectman of Essex, Phil managed to address vital infrastructure concerns while maintaining a balanced budget, reducing the size of government, and keeping taxes low. In Connecticut’s time of need, we need Phil’s experience to lead us into the future! 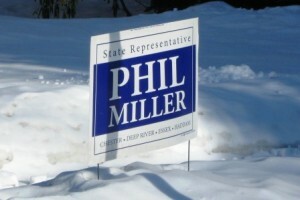 Vote for Phil Miller on February 22nd! The Meeting House Players announce open auditions for Beth Henley’s Pulitzer Prize winning play “Crimes of the Heart” on Wednesday, Feb. 23, and Thursday, Feb. 24 at the Meeting House located at 4 Liberty Street, Chester, CT.
Auditions begin at 7 p.m. each evening. The cast includes four women and two men aged mid-20’s to mid-30’s. Auditioners will be asked to read from the script. The performance dates are April 22, 23, 29 & 30 and May 6 & 7. For more information contact Ed Wilhelms at 860-304-3748. A workshop about asset development and the application process will be held at Tri-Town Youth Services, 6-7 p.m. on Tuesday, March 8, 2011. This workshop is required for all first-time applicants. Nonprofit organizations who have previously applied are not required to attend the workshop. Completed applications must be received by Tri-Town by noon on March 22, 2011. 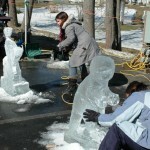 Programs eligible for funding will build youth assets and will take place between May 1 and August 31, 2011. These mini-grants are part of the Healthy Communities • Healthy Youth of Chester, Deep River, and Essex initiative that is funded through Middlesex United Way. For additional information, please call Gail Onofrio at Tri-Town Youth Services: 860-526-3600. As the First Selectman of Deep River, I know a thing or two about making tough decisions and what it takes to implement them. With very difficult problems facing Connecticut, we need a leader with proven experience who is ready to fight for our communities in Hartford. 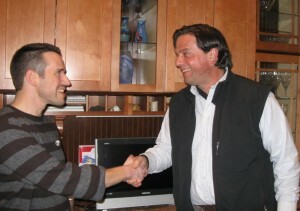 That’s why I’m proud to endorse Phil Miller for State Representative in the February 22nd Special Election. Phil and I have worked closely strengthening the regional ties Essex and Deep River share. Along with Chester we have made tremendous progress reducing municipal costs with smart, home grown solutions developed collaboratively. Phil knows there is more to be done, and will work to eliminate the bureaucratic roadblocks and mandates that put unfair burdens on towns like ours. Phil’s work as Essex First Selectman has extended far beyond the borders of his town. He’s done much to improve our quality of life while reducing costs and keeping taxes low. This area has long had strong legislators in Hartford protecting our local interests. Having worked so closely with Phil all of these years I know that he will work tirelessly on our behalf in Hartford. Please join me in voting for Phil on February 22nd. Says Passage Would Kill Jobs in CT River Valley. Essex, CT – Janet Peckinpaugh, Republican candidate for state representative for the 36th House District (Chester, Deep River, Essex, Haddam) said Monday she would vote against the historic tax increase offered by Gov. Dan Malloy, which would raise state income taxes, sales tax and end many tax exemptions for the boating industry, if approved. The Malloy plan to raise marginal tax rates up to 6.75 percent on incomes will inhibit investment and slow down an already weak economy. But the Connecticut River Valley would particularly suffer from Malloy’s proposal to end some of the tax exemptions on the boating industry, a local industry that provides jobs and revenue and sustains many small businesses. Peckinpaugh also reiterated her opposition to allowing cities and towns to generate more tax revenues through special taxes assessed at the local level. REGION 4— Region 4 school boards will hold a public hearing Thursday on a proposed $6,043,050 supervision district budget for 2011-2012. The hearing begins at 7 p.m. at John Winthrop Middle School in Deep River. The supervision district funds shared services for all five schools in the district towns of Chester, Deep River and Essex. After approval by the supervision district board of education that includes all elected members of the Region 4 Board of Education and the local school boards of the three district towns, the budget is divided into the proposed Region 4 budget and the budgets for the three elementary schools based on the number of students from each town attending district schools. The supervision district budget does not go to a direct vote of district residents for approval as does the Region 4 budget and the elementary school budgets. Superintendent of Schools Ruth Levy announced several proposed changes to programs in the new budget in advance of the hearing. Levy said the supervision district budget for the past two years had used $180,000 in federal stimulus program funds to pay for five special education para-educators and one special education teacher to enhance district special education services and avoid the need for costly out-of-district placements of special education students. With the federal funds no longer available for these programs in 2011-2012, school officials have proposed reductions to cover the costs of the lost stimulus funds. The proposed budget calls for a reduction of one teaching position in the foreign language instruction program for the three elementary schools, from 3.5 teaching positions to 2.5 positions. The proposed budget also calls for eliminating an elementary schools talented and gifted programs teacher. Levy said “recent curriculum changes, integrated enrichment activities, and additional professional development for all teachers in differentiating instruction for all students” had reduced the need for a full-time staff position for the elementary school talented and gifted programs. The supervision district school board is expected to vote on a final supervision district budget for 2011-2012 at a Feb. 28 meeting. The Region 4 Board of Education is expected to vote in March on a proposed Region 4 education budget that will go to a public hearing in April and a May 3 referendum vote in the three district towns. The proposed elementary school budgets, which are subject to review by the town finance boards, go to the voters in May at the annual budget meetings for the three towns. Ivoryton, CT- The Sugar House at Bushy Hill in Ivoryton will be open for the maple sugaring season starting Saturday Feb. 19 and every Saturday until March 19 from 10am-2pm. Bring the whole family and take part in the syrup making process using sap collected from the trees on the property, taste some samples or stop by to pick up a pint of syrup to go. Trails that cover 700 acres will be open to hike, snow shoe, or cross country ski on as well. The open houses are free to the public and no reservations are required. Different size jugs of the finished maple syrup will be available to purchase. Bushy Hill at Incarnation Center is located at 253 Bushy Hill Road, Ivoryton, CT. 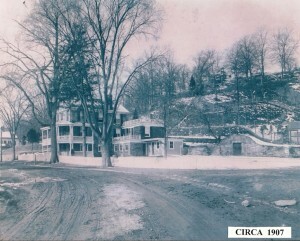 The Sugar House is about 300 yards from the road entrance on the left next to the Activity Center. If you have any questions call (860)767-0848. 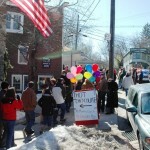 Visit our website at www.bushyhill.org for more information. On Sunday, February 27, Camp Hazen YMCA will host an Open House from 2-4 PM. Families are encouraged to attend to learn more about summer opportunities for their children. Camp Hazen YMCA, located at 204 West Main Street on Cedar Lake in Chester, offers one and two week session of both day and resident camp. Camp Hazen YMCA is committed to helping youth develop valuable life skills through camping experiences that build healthy bodies, open minds and awakened spirits. Traditional camp activities like swimming, arts and crafts and campfires – along with more unique programs including a Skate Park, Alpine Tower, Mountain Biking and Windsurfing are available for campers. All activities are designed to ensure that campers are having fun, making friends and learning valuable life lessons such as independence and leadership which are the core ingredients of the camp experience. I am writing to add my voice to the many who support Phil Miller for the 36th Legislative district. Miller has done a great job in Essex, passing balanced budgets and keeping taxes among the lowest in Connecticut. In his years as first selectman in Essex, he has worked across the aisle, to address a wide variety of problems that have come up. Friday’s debate between Phil Miller and Janet Peckinpaugh showed sharp contrasts between the candidates in terms of both background and approach. Many of the questions focused on cost-cutting. But when asked for specific cuts, Peckinpaugh could not name one, while Miller cited four specific agencies that duplicate work and could be combined for cost savings. When asked about Property Tax reform, Janet Peckinpaugh replied: “I haven’t thought about that.” In contrast, Miller has gone beyond thought on this pressing problem and has already implemented a partial solution in Essex. Instead of offering specific ideas, Ms. Peckinpaugh offered sound-bites and Party boilerplate, rather than thoughtful, fact-based responses. We don’t need a representative that answers with talking points, telling us what we want to hear. Instead, let’s send Phil Miller, who has ten years experience working with state agencies and has built solutions with people of all political philosophies. REGION 4— The Region 4 Board of Education is using a facilitator from Project Learn in the search process for a new principal at Valley Regional High School. The board has begun working with a facilitator from Project Learn, a regional education consortium, as it begins the process of selecting a new principal for the high school. The facilitator will hold a public forum for parents and community members Tuesday at 6 p.m. at the Valley Regional High School auditorium in Deep River. The facilitator is scheduled to meet with faculty and other staff at the high school Thursday, and with students, including members of the student council, on Friday. Members of the Region 4 community, including parents, residents, and students, may also complete a leadership survey on the principal job. The survey link is on-line at the Region 4 schools website. After compiling the input received this month, the facilitator will submit a written document to the school board that will be used in the screening and interview process of the search for a new principal. This is the second search for a principal at Valley Regional High School in the past year. Eric Rice, a Chester resident who was hired last summer as principal after the previous principal, Ian Neviaser, was named assistant superintendent of schools, resigned last October after only weeks on the job. Superintendent of Schools Ruth Levy and school board members have declined to elaborate on the reasons for Rice’s departure. The board has not yet established a search committee for the principal position, but is expected to hire a new principal before the start of the 2011-2012 school year in September. Kristina Martineau, who was associate principal at the time of Rice’s departure, is serving as acting principal through the end of the current academic year in June. Most of us would gladly accept $100 bills, especially from banks. Sasha Suto of Glastonbury is not sure after her experience with Bank of America’s West Hartford branch. Suto went to the nation’s largest – and frequently criticized bank – on Jan. 31 to cash a $900 check that had been made out on a Bank of America account. She received 9 $100 bills and promptly took them to her credit union, Franklin Trust, also in West Hartford, where she attempted to deposit them. The clerk checked all 9 bills with a special pencil and found that when she drew a line across one of the bills it turned dark instead of yellow, a sign that its counterfeit. The clerk refused to deposit the bill and suggested to Suto that she take it back to the Bank of America branch. At Bank of America a clerk ran her pencil over the bill and also found that it turned dark. The manager told Suto that she would have to confiscate the money and turn it over to the Secret Service – as federal law requires. The clerk who told Suto to take the check to Bank of America was reprimanded. Absolutely not, Suto was told, since the bank had no way of knowing that Suto didn’t slip another bill in her pile. That is when Suto contacted me and I contacted Bank of America, which claimed that it thoroughly checks all $100 bills and there is no way Suto could have gotten a counterfeit bill from them. At that point I didn’t know who to believe. While normally banks don’t pass out fake bills, it does happen, as Chase was caught red handed last year trying to falsely blame a customer for a bad $100 bill. So I figured I would test Suto and asked her to file a written complaint against Bank of America with the West Hartford police. If she did that I was going to assume that she was either a complete idiot or on the level. Suto did file a written complaint and West Hartford police – who had not been told about the counterfeit bill from the bank – started their own investigation. At that point I was comfortable that Suto was telling the truth. West Hartford Police Chief James Strillacci was not sure. He said that his department was investigating a rash of fake $100 bills being passed in West Hartford. He said that on Jan. 30 a bad check was passed at a gas station and $900 in bogus bills were passed at Price Rite. Another case had also just came in. The tale does have a happy ending. Suto was called by Bank of America last week and was told that the Secret Service determined that the bill was legitimate, it just had some kind of coating on it. She went back to the bank, refused a $100 bill and instead walked out with five $20 bills. Suto says she doesn’t blame Bank of America, but she hopes the bank does not pass the $100 bill off again on someone else who will also have a problem with it. Bank of America said its policy is not to inform local authorities when a counterfeit bill is received and only contacts the Secret Service, which she assumes contacts local police. I suggested that the policy be changed. The Essex Library’s popular series of True Crime talks continues at Essex Town Hall on Thursday, Feb. 17 with Protecting the #1 Target: Counterterrorism and Aviation Security. Are the new scanners and invasive pat-down really making us safer? And what else is the TSA doing to prevent another devastating attack like 9/11? The speaker is Captain Tom Walsh, an internationally recognized expert on aviation security and counterterrorism, who serves as a consultant for the U.S. Government and private firms, and is currently assisting our government in a detailed study of the vulnerabilities in the global and US aviation systems. The Library has also rescheduled a talk that was cancelled due to snow, Cold Case: Connecticut. You’ve seen their success stories splashed across the news – but how do Cold Case detectives crack those real-life murders? Meet Cold Case Supervisory Inspector Michael Sullivan on Thursday, April 14 at 7 p.m. at the Essex Town Hall, and get the inside scoop on how real cops are solving decades-old cases – and how you can help. Libraray staff are also working to reschedule the cancelled talk by Dr. Henry Lee, and hope to have a date set soon. Please call the Essex Library for information or reservations, at 860-767-1560. Library trustee Karen Burzin checks out the multimedia quiz show pamphlet. Committee members not shown are Ellen Wexler, Louisa Ketron, Pam Murphy, and trustees Julian Evans and Chris Pagliuco. 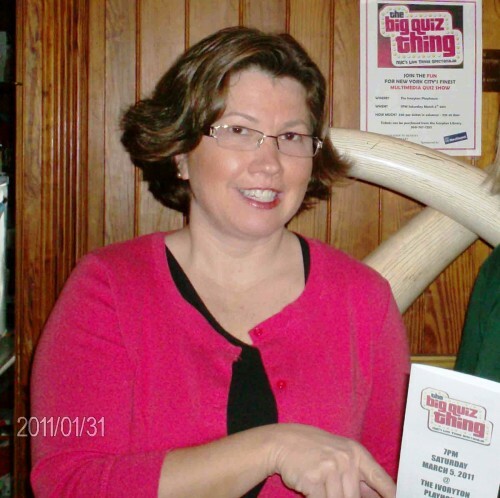 The Ivoryton Library Association is hosting THE BIG QUIZ THING, a new and exciting interactive quiz show. THE BIG QUIZ THING is a multimedia live game show hosted by Noah Tarnow. Throughout New York, Boston, and soon, Ivoryton, CT, Noah creates an evening that will test your knowledge of trivia in music, business, sports, and beyond. As a team of four to eight players, groups will collaborate to answer these questions. The library can place you on a team or you may form your own group. Participation in the trivia show is optional, as interested ticket holders may prefer to simply observe the show. The Ivoryton Library Association is excited to bring this cultural event to the historic Ivoryton Playhouse on Saturday March 5. The event begins at 7pm. A cash bar is available along with hors d’oeuvres, prizes, and silent auction items. All proceeds will benefit the Ivoryton Library Association. This event is being funded in part by Merrill Lynch Financial Services Corporation. 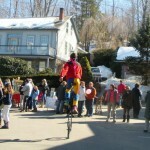 http://www.ivoryton.com, or contact the library directly at (860) 767-1252. Essex, CT — Page Taft Real Living is pleased to announced that Peg Sterling has joined their Essex office. 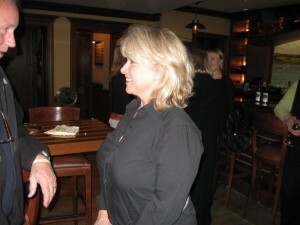 Page Taft Real Living specializes in providing real estate services in Essex and the Shoreline area. 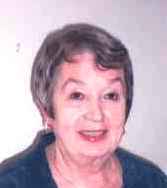 Peg Sterling will be working in our Essex Office, located at 35 Main Street. She may be reached by telephone at 860-767-5390 or 860-304-3486; or via e-mail at psterling@pagetaft.com. Page Taft Real Living has 3 offices serving the Shoreline area. 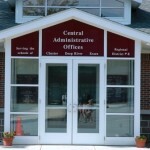 Its main office is located at 89 Whitfield Street, Guilford and the telephone number is 203-453-6511.